I'm probably coming to you with this post fairly late in the game, with these images below now well out in the webisphere. But it's a good time as any to tell you about the shoot. A short time after I had released the episode Flipside, Wenley was made an offer he couldn't refuse; to start up his very own Mean Machines workshop in the opposite side of the country in Perth, Western Australia. So he packed up his few possessions and relocated 3290 kilometers away to begin the next phase of his dream to build bikes for a living. At this point I'd shot a couple of Wenley's bikes and they always seemed to create a buzz. More than that I just really enjoyed hanging out with a genuinely humble guy who had more talent that he probably realised. When talking with Wenley, at first impression you might underestimate him as just another guy. I've always found when talking with Wenley his passion was always infectious, not because of his energy (as he is a pretty laid back kind of guy), but because of how he downplays the work he does. Yet you can always feel the crackle of excitement in wanting to do more was just fizzing under his skin. 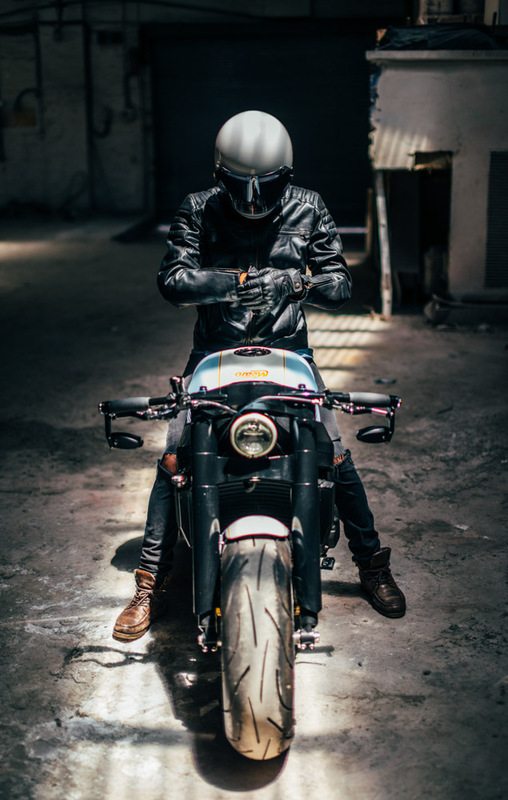 While he was in Perth, working incredibly hard setting up the venture with his new business partner and building bikes that would both attract new clientele and excitement in the industry, we spoke over the phone a few times. Each time I could tell he was full of energy for the work he was doing, but also a little frustrated that the market and general enthusiasm for custom bikes there was different to that of Sydney. Regardless he pushed on. Flash forward two years later and Wenley reaches out to me to let me know he's coming back to Sydney having parted ways with his business partner and the Mean Machines name he'd built himself over close to ten years. I could hear that he was well and truly gutted, but he as always downplayed the situation and just moved forward somehow. He told me that he'd be bringing some of his best builds back with him and that he'd love for me to take some shots. I was thrilled, more so to just simply catch up see how he was doing. When he arrived at the shoot location at The Commune, Alexandria on the Angry Bird, this incredibly fantastic (as it's like something out of a sci-fi movie) and aggressive looking Honda CBF954RR, I could see there was a lot less of Wenley than I remembered. "Stress", he said was the reason he'd lost so much weight. Through the shoot itself, I asked about the bike having come into the shoot completely cold. He spoke of the engineering challenges he had to overcome and I enjoyed hearing about the unique thought processes behind each design decision, as Wenley was never one to subtle in the looks of his bikes nor one to worry about what others thought of them. Yet with each win he described in building the bike he couldn't give enough praise to his talented team of Billy Kuyken (fabrication), Andrew de Bono (upholsterer) and Jack Johnson (painter). Everything they did, he said, was just the best. I asked Wenley about his future. What next? After a pause he told me he wasn't sure. He felt like the energy he had for building bikes had been sucked out of him. For now he'll get a day job in finance and build up his savings again. I had a feeling that, while the wind was knocked out of him for now, he'd be back building soon enough. From an angry bird comes a firery pheonix, I think.